This Palecek artwork features natural woven natural fiber artwork in wave pattern. 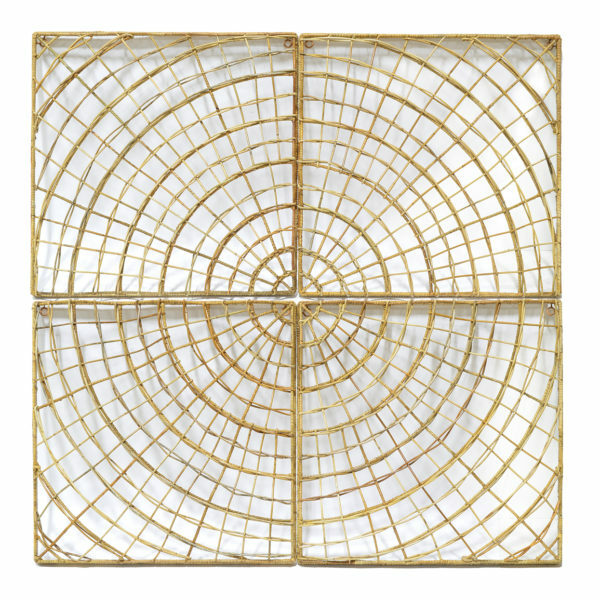 Sold as individual 25″ square panels, that are 3″ deep. (Shown here with four separate panels). Comes with metal ring hangers to mount both vertically or horizontally. Jeffrey Alan Marks Collection. Made in USA.